President Trump cautioned that his historic summit meeting with North Korean leader Kim Jong Un may not happen as planned. Earlier, South Korea’s national security director told reporters his country is confident the Trump-Kim meeting will go forward. 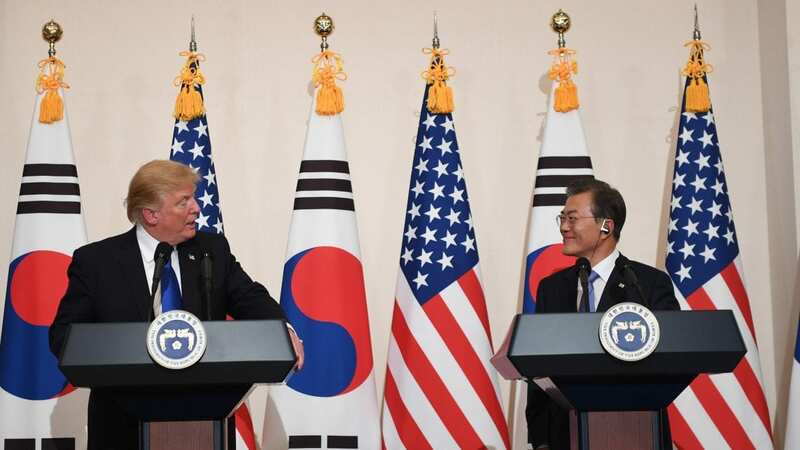 “South Korea and the U.S. have been sharing every bit of information,” he said. Trump warned that certain conditions would have to be met for the meeting to take place. He did not specify what those conditions are. After weeks of conciliatory gestures, Kim put the summit meeting in doubt by suggesting North Korea is not willing to give up its nuclear program too easily. South Korea’s Moon continued to nudge Trump in the direction of diplomacy. “I have every confidence that President Trump will be able to achieve a historic feat of making the upcoming U.S.-North Korea summit successful and end the Korean war that had been lasting the past 65 years,” Moon said through an interpreter. “Moon is a resourceful politician. He’s played his cards very well. But there’s just so much that could go off the rails here when and if Trump does, in fact, go to Singapore,” said Jonathan Pollack, a senior fellow at the Brookings Institution. Trump hasn’t always been on such friendly terms with South Korea. During the 2016 presidential campaign and since, Trump has complained about what he sees as that country’s free-loading reliance on U.S. military might. expansion of a U.S. military base, 55 miles south of Seoul.